Having a skunk as a pet is not as strange as you might think. These small, intelligent animals can provide companionship just as well as a cat or dog. 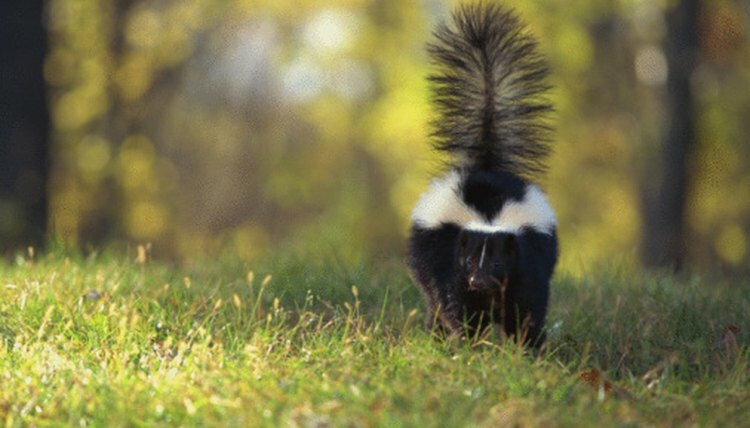 The musk or scent glands in pet skunks are removed surgically at an early age so odor will not be an issue, and they should also be vaccinated against common dog and cat diseases. To help maintain good health, you pet should eat a healthy mix of carbohydrates, proteins and fruits. Since very little is known about what a domestic skunk's nutritional requirements are, most veterinarians will recommend following as natural a diet as possible. Skunks that live in the wild will eat a variety of berries and your pet skunk can also enjoy this type of fruit. Items such as black berries, strawberries.blueberries and raspberries can all be purchased at your local grocery story or at fruit stands. Always use fresh or frozen fruit and nothing processed. It is recommended that adult skunks eat two meals a day which consist of a variety of fruits, vegetables, nuts and tuna or chicken. Apples can also be found growing wild and although a skunk cannot climb a tree, it can eat any of the fruit that falls on the ground. You can purchase applies for your pet at orchards and at grocery stores. Slice them up into bite-size pieces the same way you would for a small child. Grapes are an excellent choice of fruit for your pet skunk as they are small and easy for the animal to manage. Green, black and red grapes as well as seedless are all good choices. Skunks have a ferocious appetite and will sometimes eat until they make themselves sick, so it is important to watch their portion size of their meals. Feeding fruits such as grapes for snacks will help to maintain a healthy weight. A slice of melon is a perfect addition to your skunk's diet. This can be watermelon, cantaloupe, crenshaw, casaba, Persian and honeydew. Skunks will also eat the melon rind. Other fruits such as bananas, cherries, pears, mulberries and cranberries can also be added to your pet skunk's diet. What Kind of Fresh Fruit & Vegtables Can I Feed My Chinchilla?